Salman Khan who ended 2017 with a bang by delivering Tiger Zinda Hai had the cash registers ringing. Present collections of 339 crores make Salman Khan the only Indian actor with a hattrick in 300 crore club. Bajrangi Bhaijaan went on the rake in 316 crore. which had garnered immense love and appreciation from the masses. 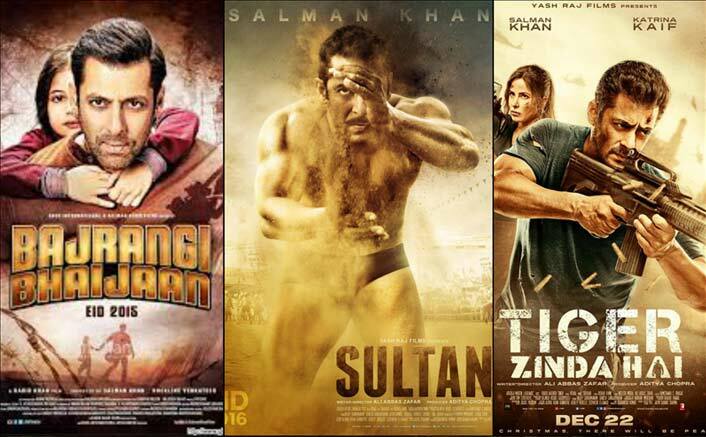 Sultan emerged highest grossing film of the year by minting a whopping 300 plus crore. It is also the third consecutive year that Salman has had a consistent run at the box office with Bajrangi (2015), Sultan (2016) and Tiger Zinda Hai (2017). 2018 promised Race 3, while 2019 would give a dual treat with Bharat and Kick 2. Salman Khan’s Da-Bangg Tour, which has entertained the Indian diaspora in London, Hong Kong, Auckland and Melbourne, is now all set to take place in Nepal. “Nepal ab aap ki baari swag se swagat nahi karoge hamara. (It’s now your turn Nepal. Would you not welcome us?) Dabangg The Tour Nepal. Bollywood, Tundikhel, Sohail Khan” Salman tweeted on Wednesday. The event will see Bollywood stars Sonakshi Sinha, Kriti Sanon, Prabhudheva, Daisy Shah, Meet Bros and Manish Paul joining Salman on March 10 at Tundikhel, Kathmandu. The tour’s last stop was in New Delhi in December 2017 where the stars shook-a-leg-on peppy numbers like Mujhse Shadi Karogi, Garam Chai Ki Pyali Ho, Munni Badnam, Prem Ratan Dhan Payo and Swag Se Swagat. The post Salman Khan Turns Only Indian Actor To Have A Hattrick In 300 Crore Club appeared first on Koimoi.